Good morning and Happy Memorial Day to those of you here in the states. It's Kris here to give you a bit of inspiration (just in case you have crafting on your agenda today!). I know you've been following all of the fabulous KOTM samples posted here and in the Unity Show & Tell Facebook Group. Here are a couple of others that might persuade you to sign up for this beautiful May KOTM-Free Your Dreams. 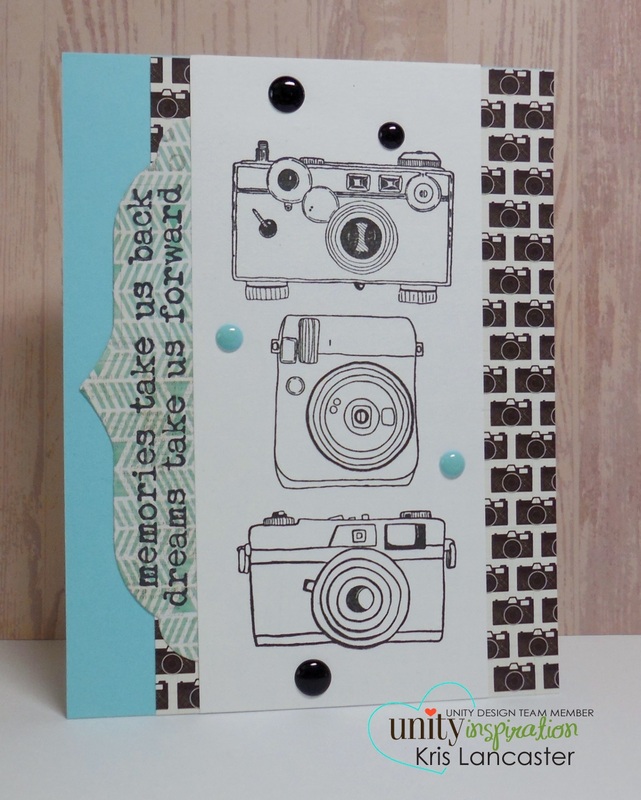 My first card uses those adorable cameras done strictly in black & white with the sentiment posted vertically off to the left side. I added a few enamel dots and this quick & easy card was done! 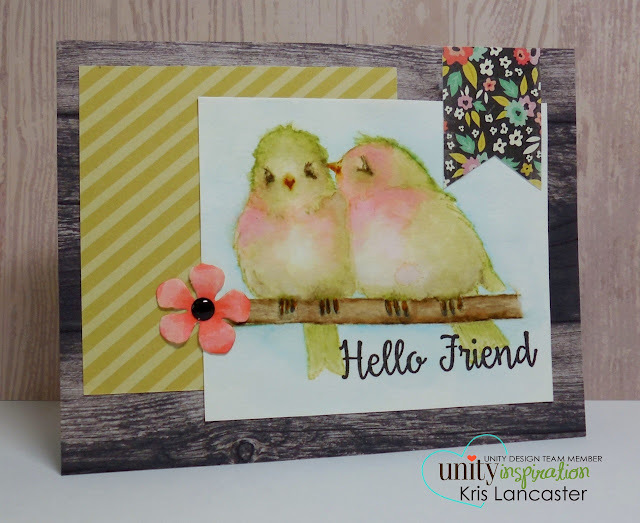 My next card uses my new favorite technique - no line coloring with those fabulous little birds. To get all the details on how to sign up and the awesome perks that go along with your membership, just click HERE.